Proxiblog provides numismatic education to both auctioneer and bidder. We do have favorite sellers (see right sidebar); but we’re not a sounding board for complaints. Nevertheless, bidder feedback is important. We asked Proxibid how viewers can report problems directly to the company. Call the customer service line at 877.505.7770. “Our team will complete a complaint form for the customer,” he notes. 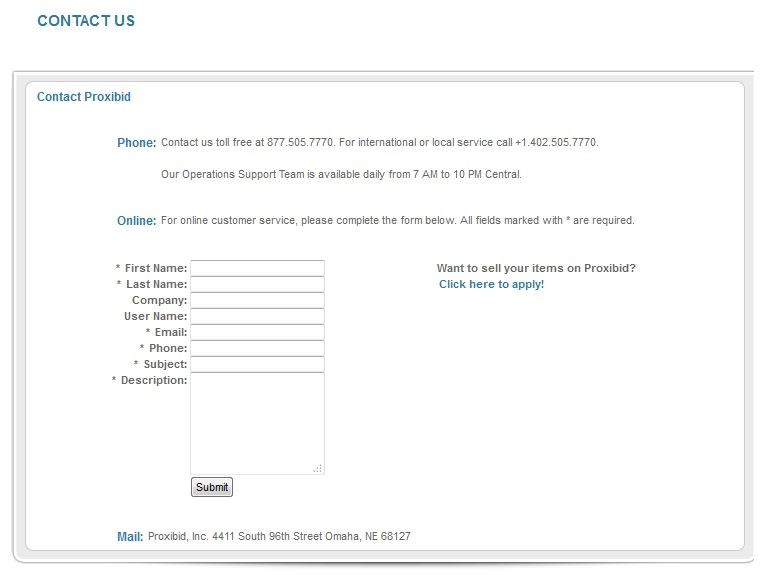 Visit http://www.proxibid.com, click on ‘Help’ in the upper-right corner, then click ‘Contact Us’ button. (Click here to go directly to the contact tab.) If you use this function, Proxibid requests a detailed account of the problem. We encourage viewers to give positive as well as negative feedback to Proxibid. Meanwhile, Proxiblog will continue to give our viewers numismatic posts to help online auctioneers and their clients. This entry was posted in News, Uncategorized and tagged American Numismatic Association, Auctioneers, AuctionZip, Best Practices, Coin Auction, iCollector, National Auctioneer Association, Proxibid, Proxiblog. Bookmark the permalink.